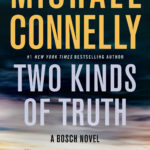 Harry Bosch discovers that there are two kinds of truth: the kind that sets you free and the kind that leaves you buried in darkness. Two unrelated cases wind around each other like strands of barbed wire. The past is catching up with Harry Bosch. Two Kinds Of Truth is available now in the USA, Canada, the UK, Ireland, Australia, and New Zealand. This first book in a new series introduces a driven young detective trying to prove herself in the LAPD. The Late Show is available now in the USA, Canada, the UK, Ireland, Australia and New Zealand. 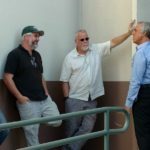 Season 4 of Bosch has completed filming in Los Angeles. Season 4 will continue the unfinished plot lines from season 3 and will pull elements from Angels Flight. It will be streaming on Amazon Prime Video in early 2018.